About 1% of patients diagnosed with autism spectrum disorder and intellectual disability have a mutation in a gene called SETD5. 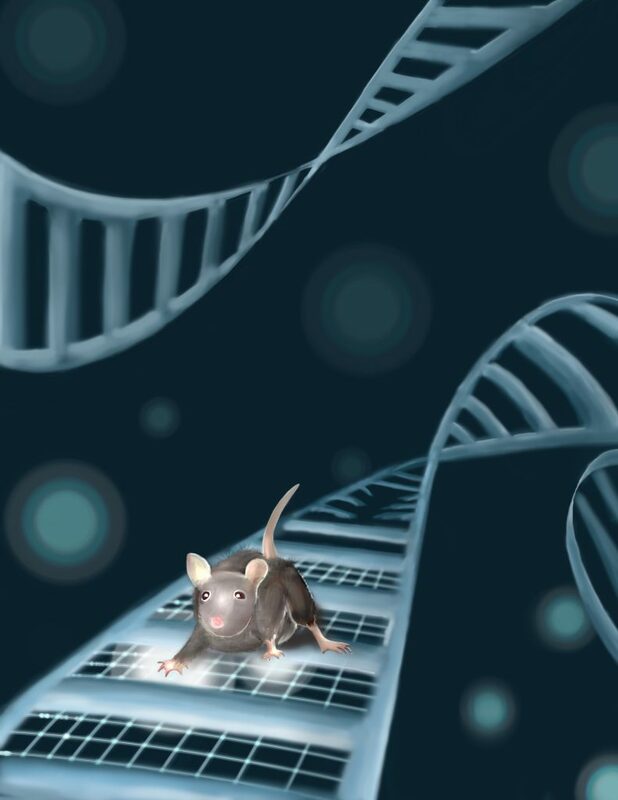 Scientists have now discovered what happens on a molecular level when the gene is mutated in mice, and how this changes the mice’s behavior. This is an important step towards understanding how mutations in the SETD5 gene may cause cognitive changes in affected patients. The study was led by Gaia Novarino, Professor at IST Austria, and Kyung-Min Noh, Group leader at the European Molecular Biology Laboratory in Heidelberg, Germany; Elena Deliu, Niccolo Arecco, Jasmin Morandell and Christoph Dotter share first authorship. The results, which suggest that the brains of mice with a SETD5 mutation may be less flexible, are published today in Nature Neuroscience. For their studies, the researchers characterized what happens in mice which carry one mutated copy of SETD5 and one intact copy of the gene. They found that in the mouse embryo, SETD5 is important for regulating gene transcription, the process by which the blueprint of DNA is turned into a set of instructions for making proteins. In early development, SETD5 plays a role in the specification of tissues, this is the reason why developmental defects are seen when SETD5 is mutated. The researchers hypothesize that mice with a SETD5 mutation have a more inflexible brain. SETD5 mice were found to make memories that are too strong and not easily overwritten. “In the brain, balance and precise response are important. The SETD5 mice make more stable memories, which could make the brain inflexible. Because the brain is less flexible, they cannot easily make new memories or adapt to new situations”, Gaia Novarino explains.